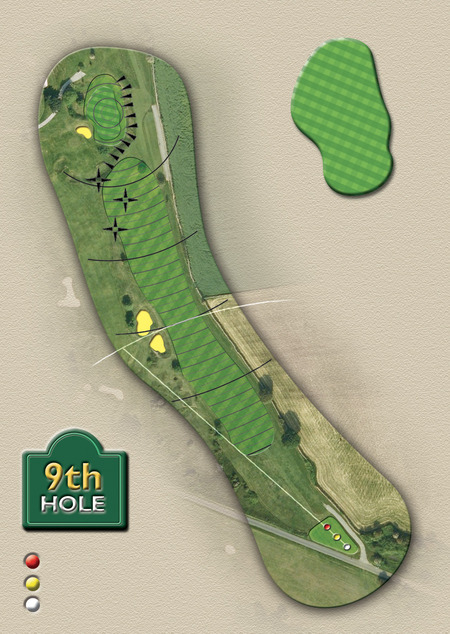 You need a nice straight drive on this 9th hole as there is a field on the right which is Out of Bounds and anything left falls away and will find scrub. From the fairway, you need a decent, long 2nd shot to get you up to the green. 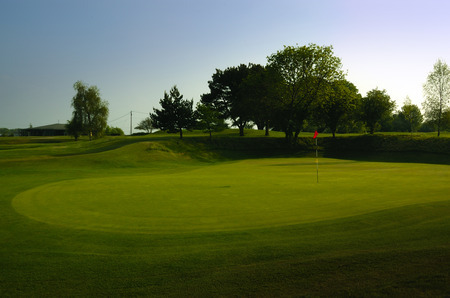 The hole is further away than it looks owing to a sizeable hump and hollow in front of it which can prevent your ball from making it to the green. The green itself is gently sloping with a slight bulge to the left. A deceptive hole this one.